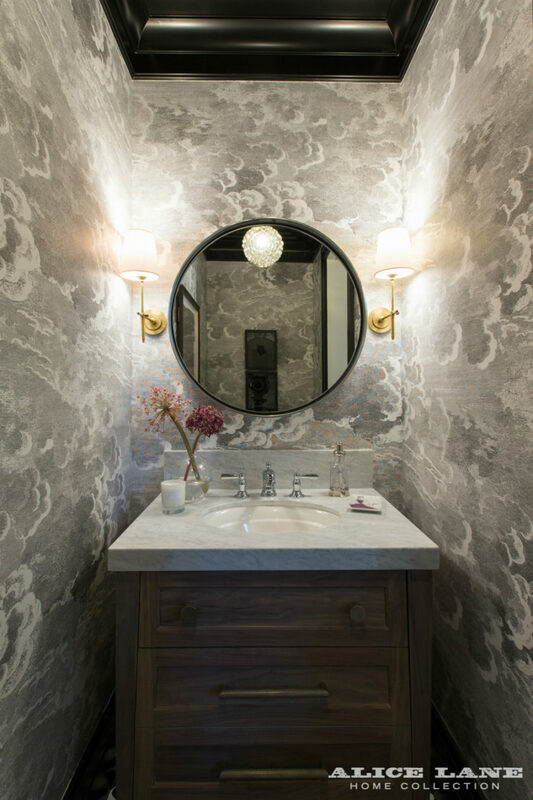 Designing a powder room shouldn’t be a part of routine planning. 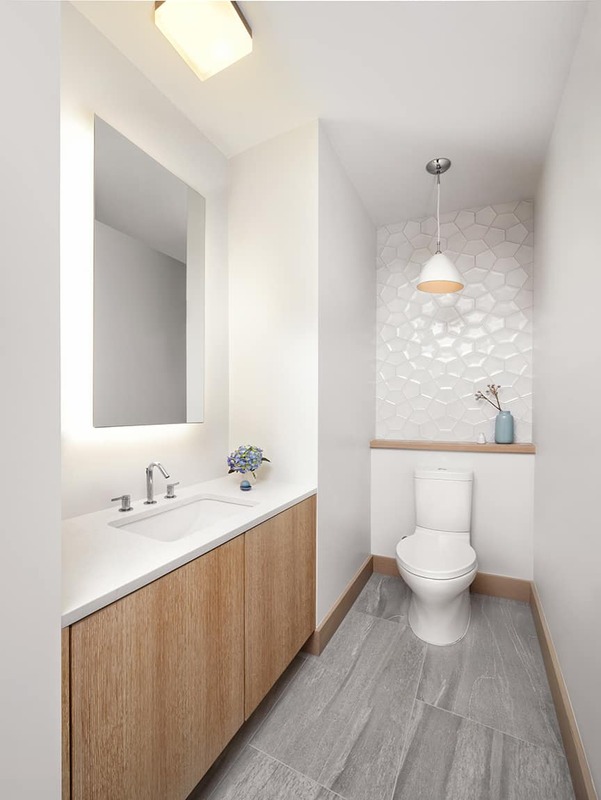 It can become your creative outlet and a place where you can practice everything you’ve learned from experts, blogs, and magazines about interior design. 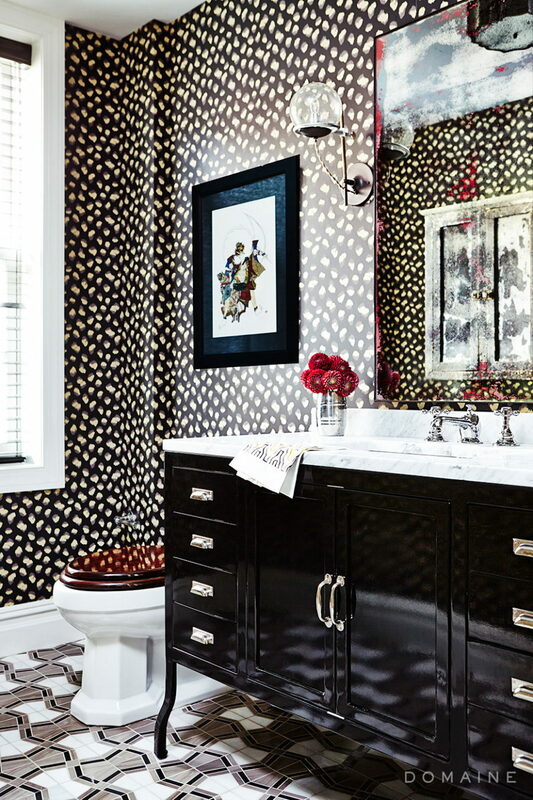 It may not seem so, but powder rooms havev plenty of room for experiments and decorating. To make things easier, start with the basics. 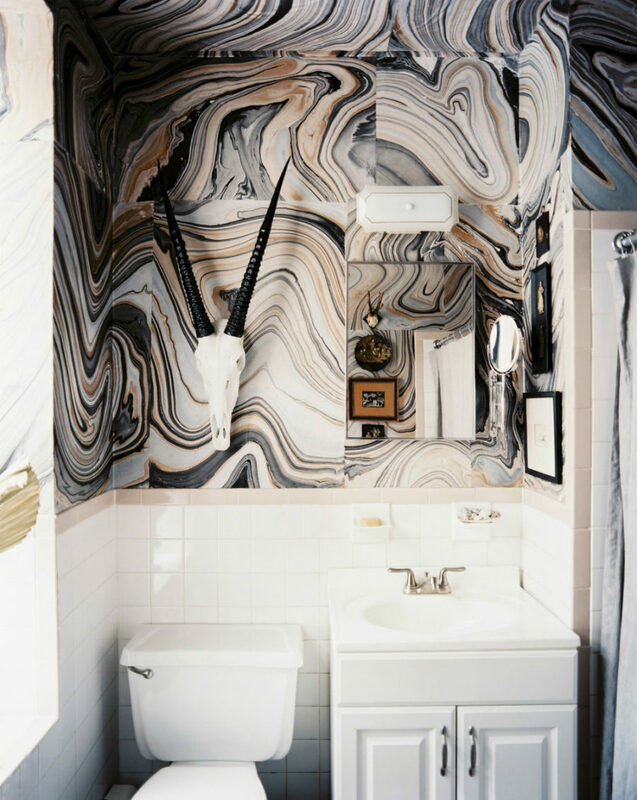 What colors do you want your powder room in? What can you preserve? What needs replacing? Thus, you’ll quickly outline a budget, and will be able to get on with more pleasant choices. 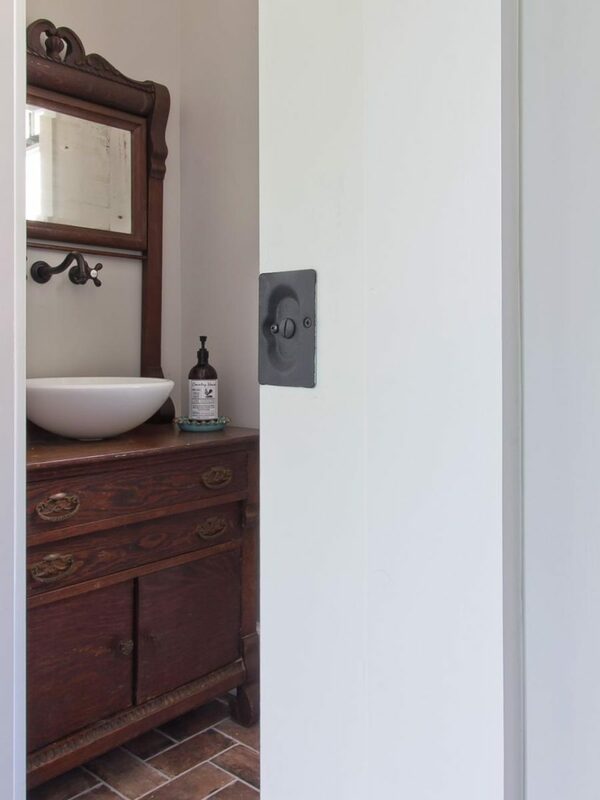 When all the replacements are done, you can start shaping up your powder room’s design. 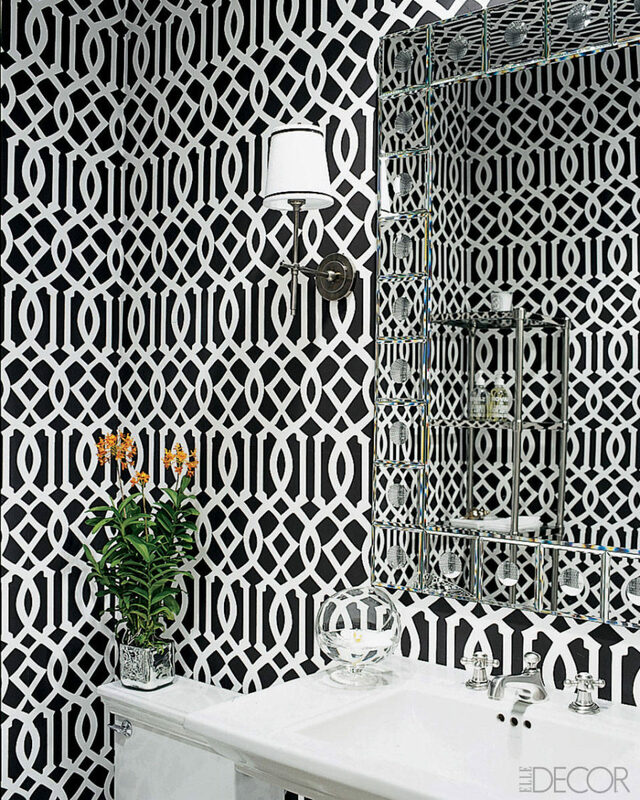 Black and white combination is a classic and looks good in any print and pattern. 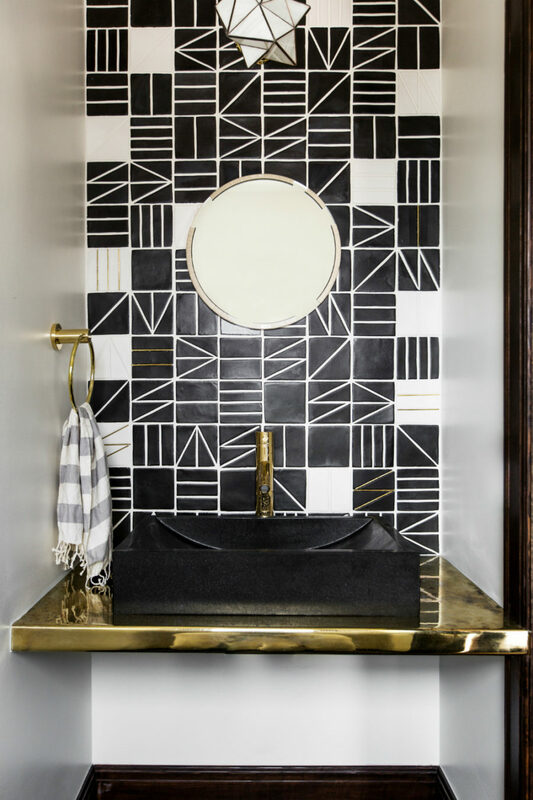 Whether you’re using wallpaper or tiles, make sure to punctuate your design with bright accents and metallics for a richer look. There are many creative ways to use only these two basic colors. 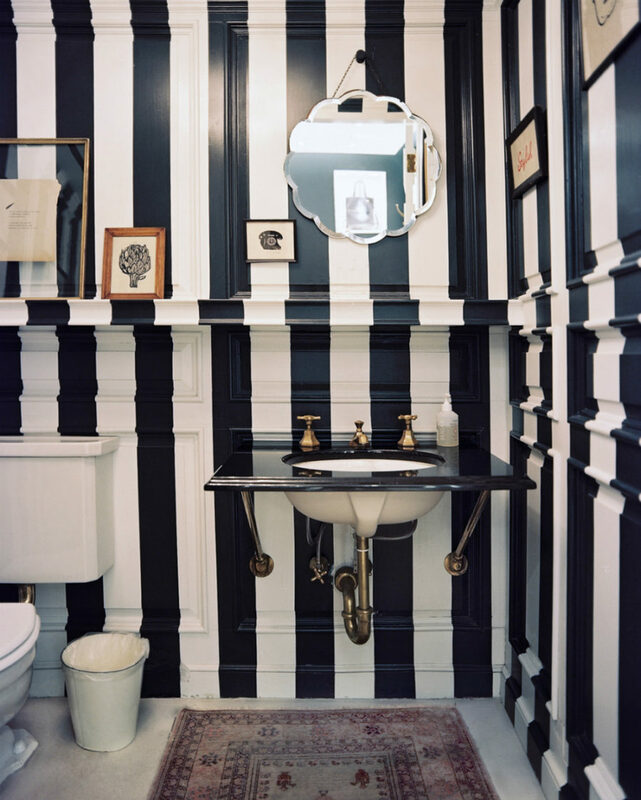 Painting your powder room walls in prison stripes or elegant thin ones will always make it pop. 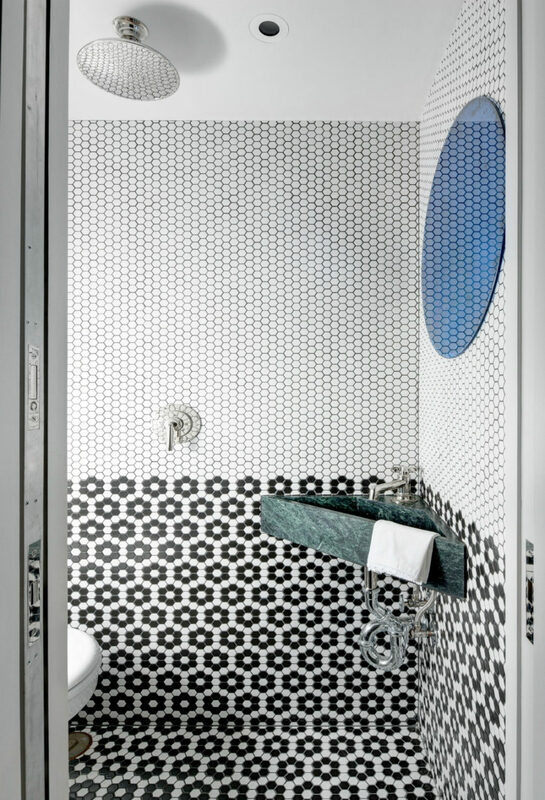 If you want something more sophisticated, a tile mosaic pattern will definitely make your guest bathroom stand out. 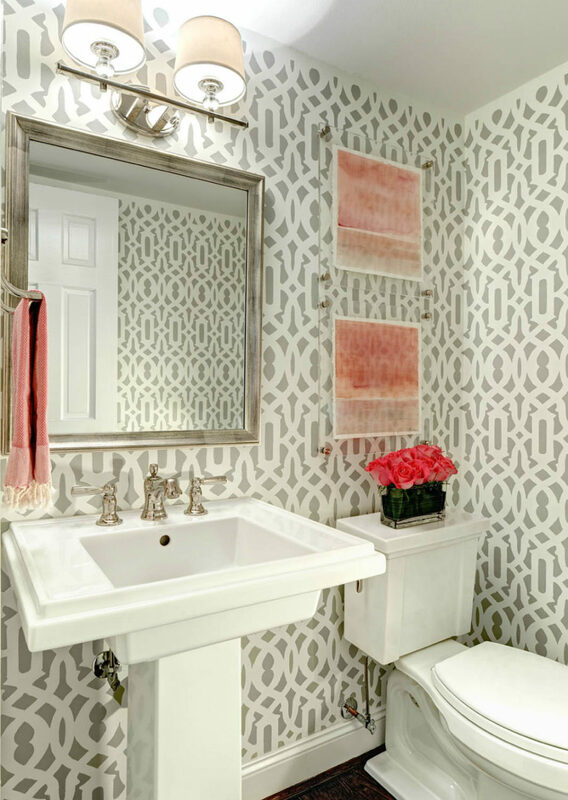 The easiest way to go about your powder room design is to choose a fitting patterned wallpaper design. 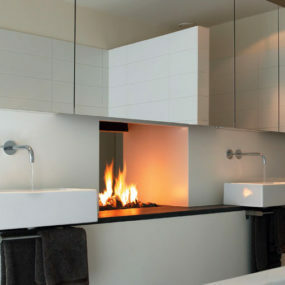 Thus you can keep the rest of the space neutral, and worry only about a few walls and installation. 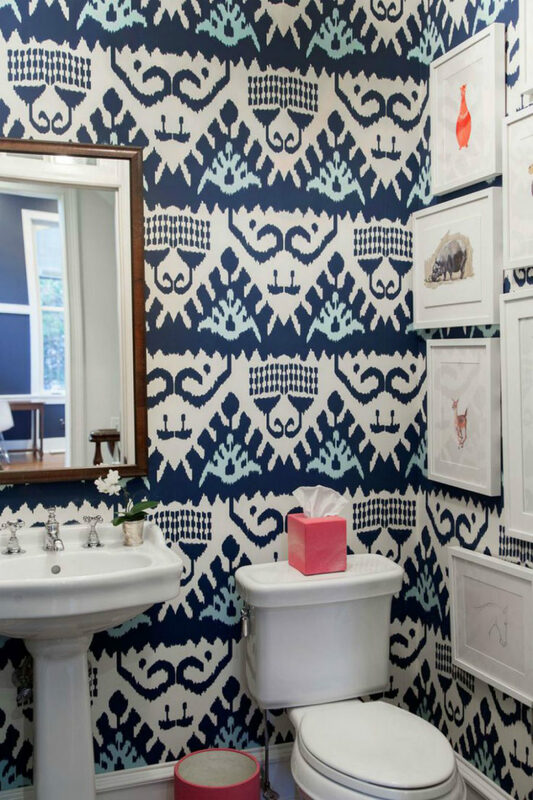 Wallpaper tends to give a powder room a more expensive designer look, and works really well with framed artworks. 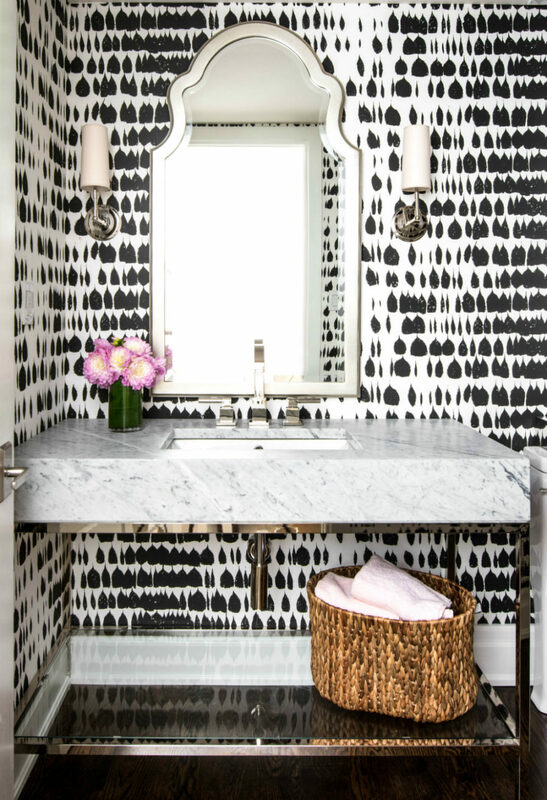 Patterns vary from simplest stripes to complicated and exotic ikat. Colors are even more diverse. 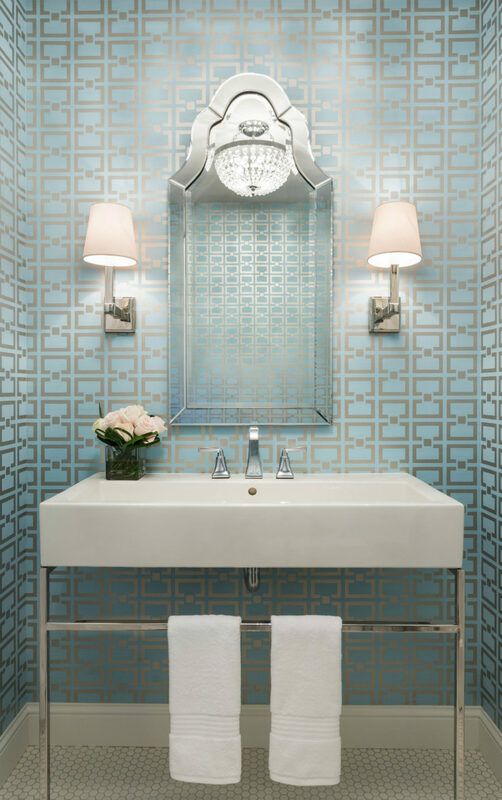 In a white bathroom, use starker colors, if you want your powder room to have a visual punch. 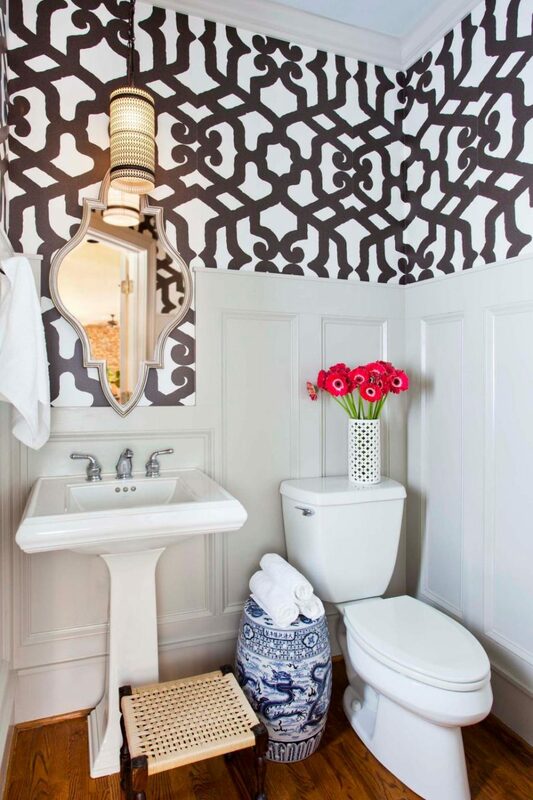 To a neutral powder room, light patterned wallpaper can give a welcome dimension and detail. 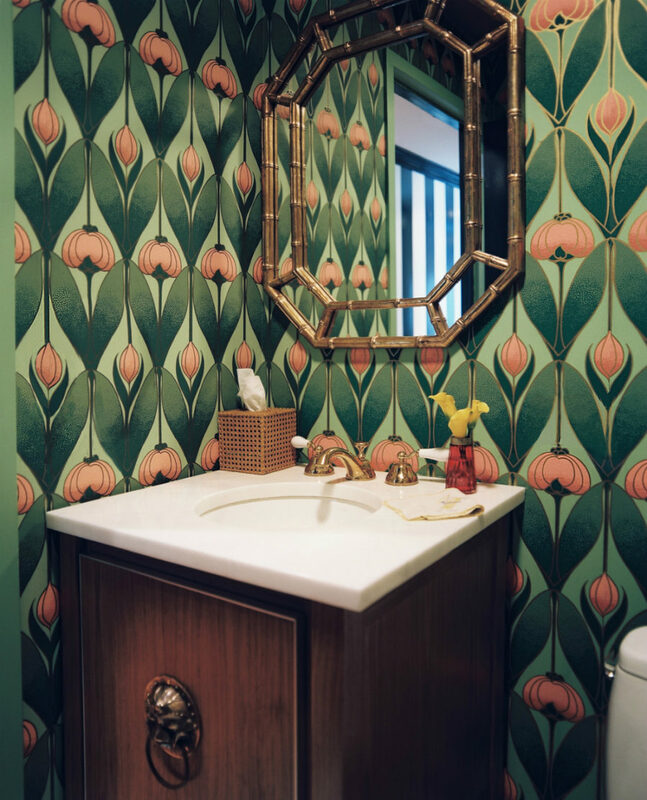 Extremely unusual wallpaper designs are that much more intense, but you can use them to create a feature wall in a powder room. They are best used in the wall with a sink and mirror. 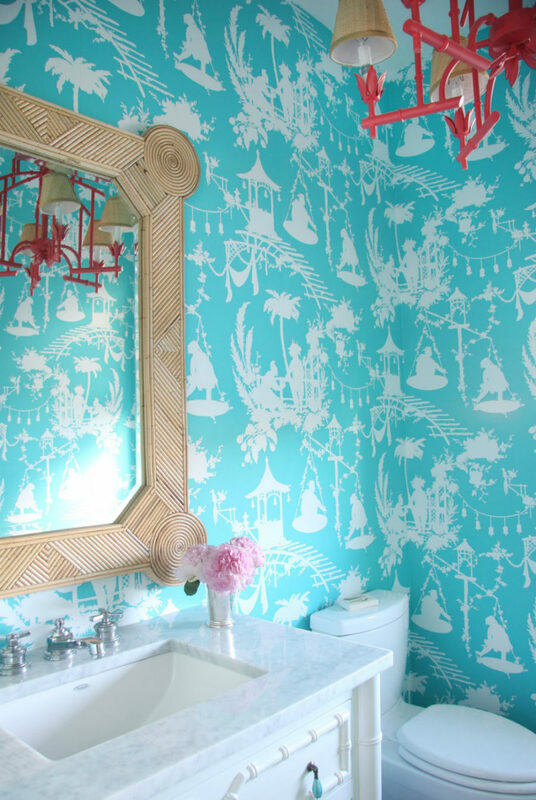 Expect such wallpaper to set the tone for the entire room. 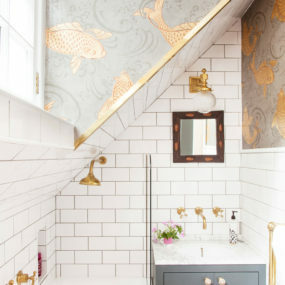 Some unique designs look great on ceilings as well, so you can take advantage of a particular pattern, and trade a traditional white ceiling for a creative one. It may be challenging to decorate around such intense patterns and colors, but neutrals can always balance out the picture. 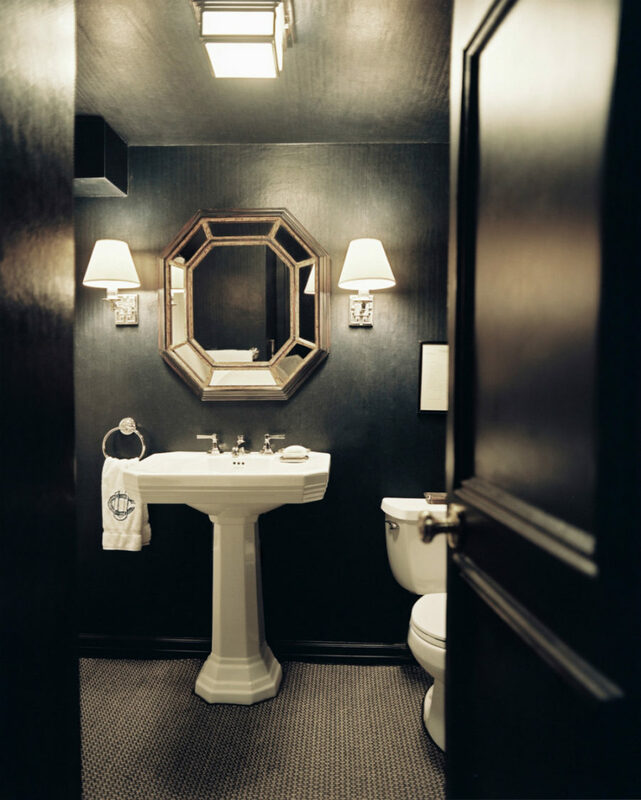 Powder rooms look gorgeous with vintage furnishings and a general retro vibe. 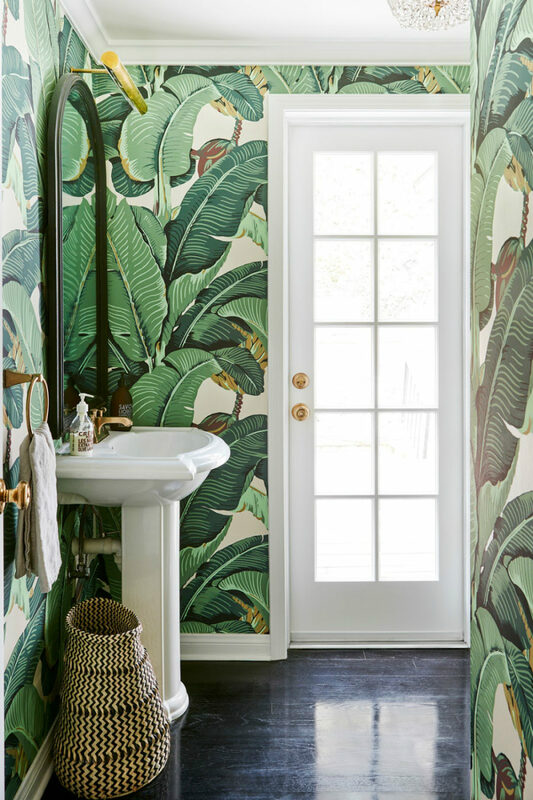 You can create it with certain wallpaper designs or real vintage furniture that you can find on flea markets and special stores dealing in antiquities. 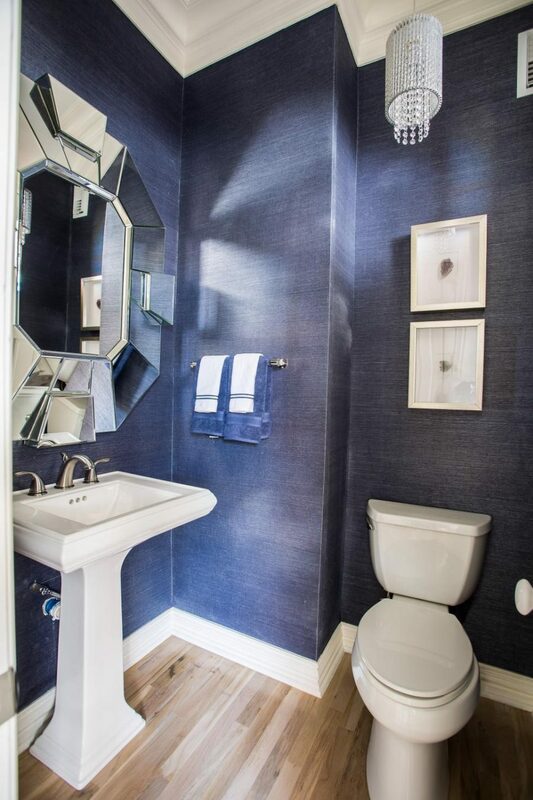 An Art Deco pedestal sink is a beautiful alternative to vintage furnishings. 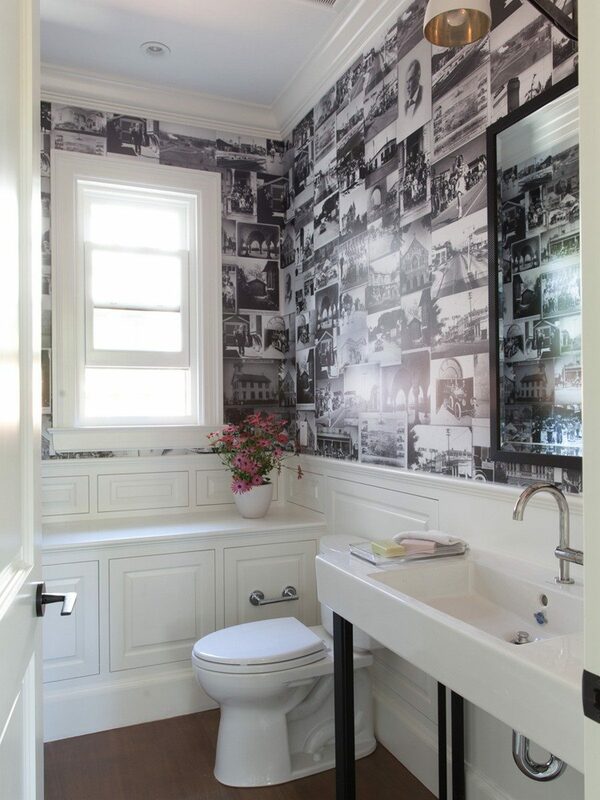 And it has a distinct mid-century modern look that your can strengthen with suitable wallpaper. 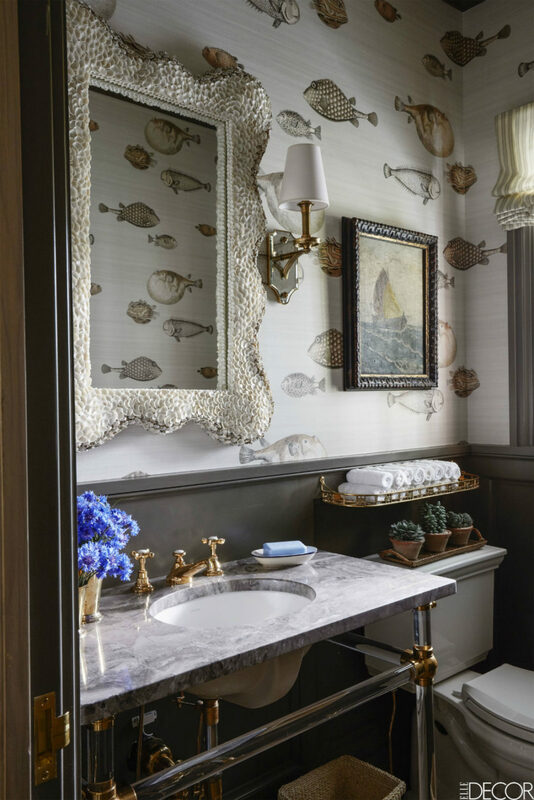 Mirrors and wall decor like vintage signs can, too, help you make your modern powder room look a bit more old-fashioned and historical. 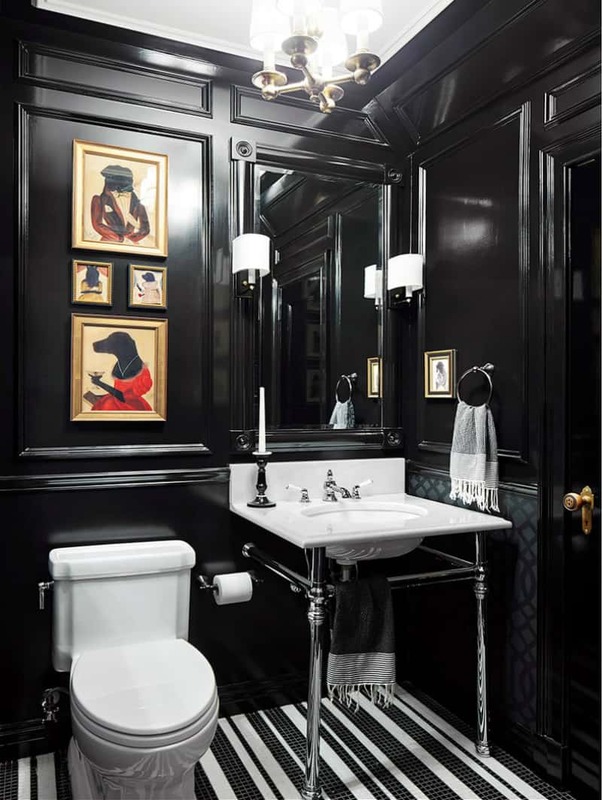 There is a trend to create dark, moody powder rooms in colors like navy, black, grey, and bronze. This is a great idea for the room that has no windows. It looks boxy already, so why not turn it into the most sophisticated box in the world? 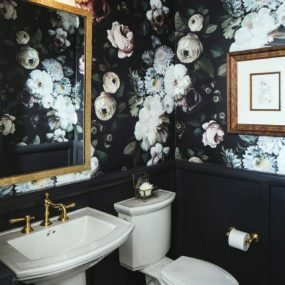 When there is no point to try and make your tiny powder room look bigger, you can think of any design and recreate it without a second thought. 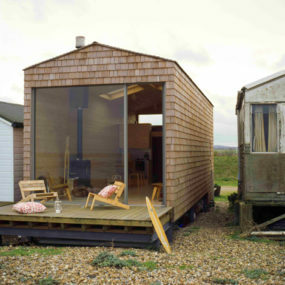 You can also afford to use more expensive materials because your working space is small, and will not require much of them anyway. You don’t have to go dark. 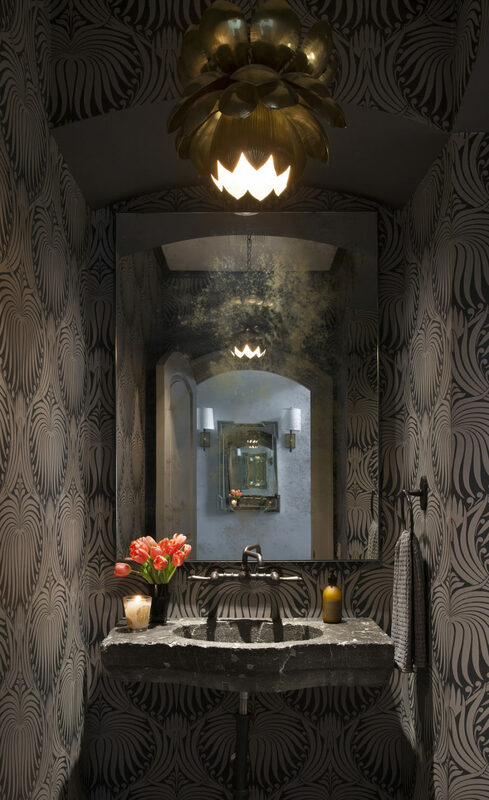 Powder rooms look especially good decorated with dramatic mirrors, vanities, and chandeliers. 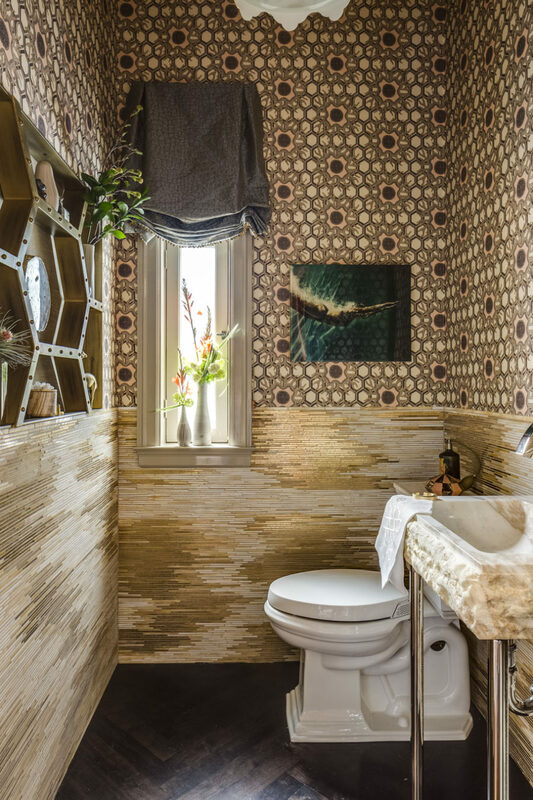 Of course, you can opt for any kind of unusual wallpaper, and cover every wall of your guest bath with it. 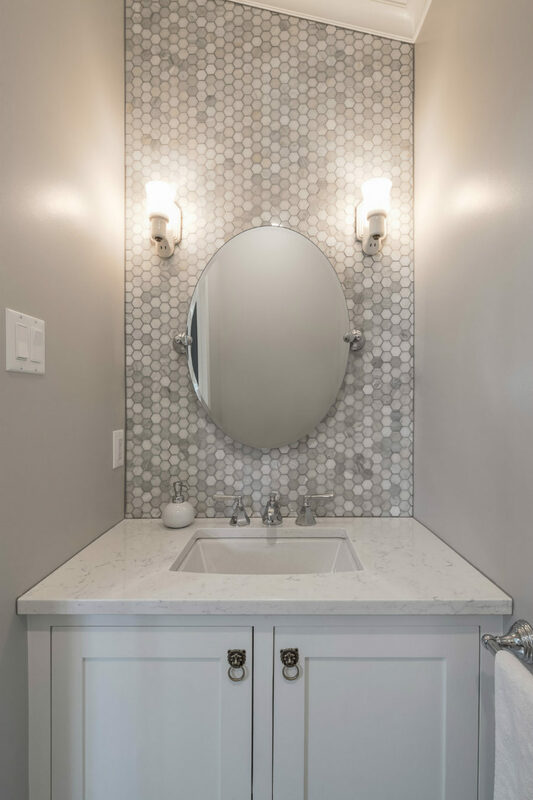 It may not be practical to use a creative stone sink in everyday life, but if you can afford one, why not add it to a less often used powder room? 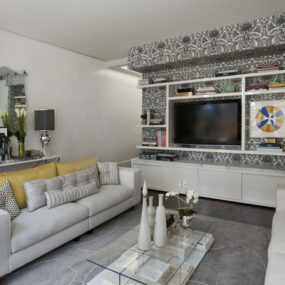 You can also experiment with wall coverings to create a more dramatic interior design. 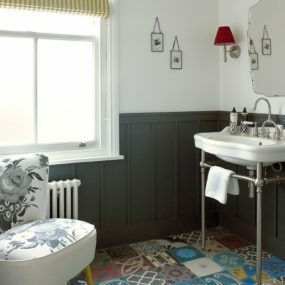 Tiles are still the best material for more high-traffic rooms, because they are easy to clean and maintain, and they look great. 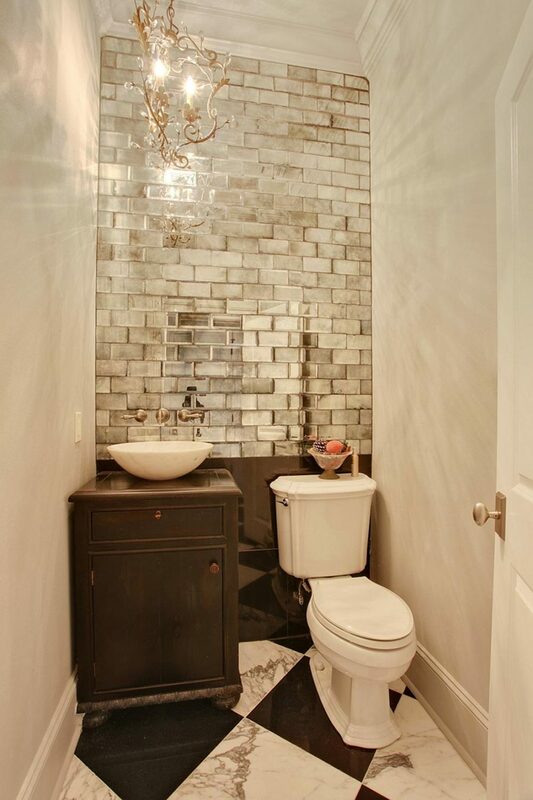 To avoid that utilitarian bathroom look, opt for a tiled backsplash and leave the rest of the walls painted. 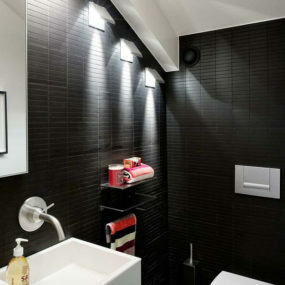 A cool backsplash in tile or stone will never fail to draw attention, and will set the tone for the bathroom’s interior. It can also be immensely luxurious. 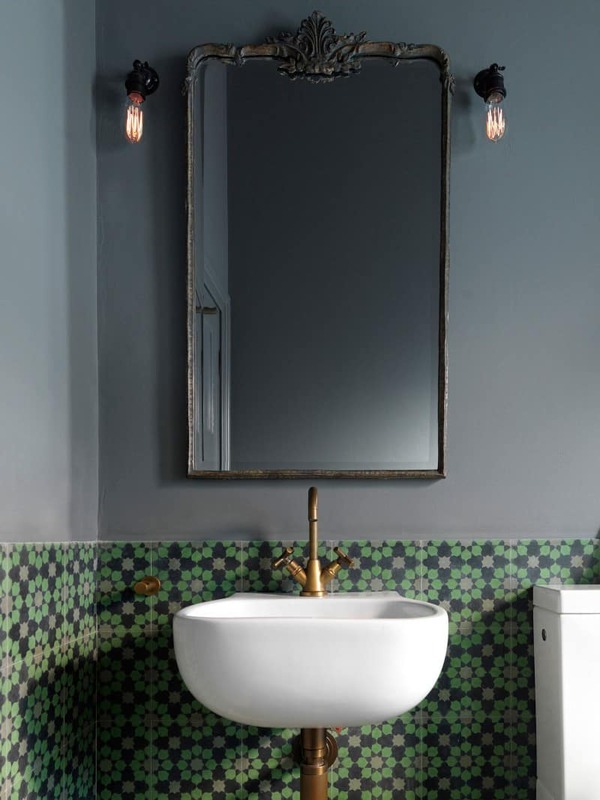 Take note of marble hexagonal tiles in the last two designs. They make the bulk of the design without requiring any additional accessories or decorations. 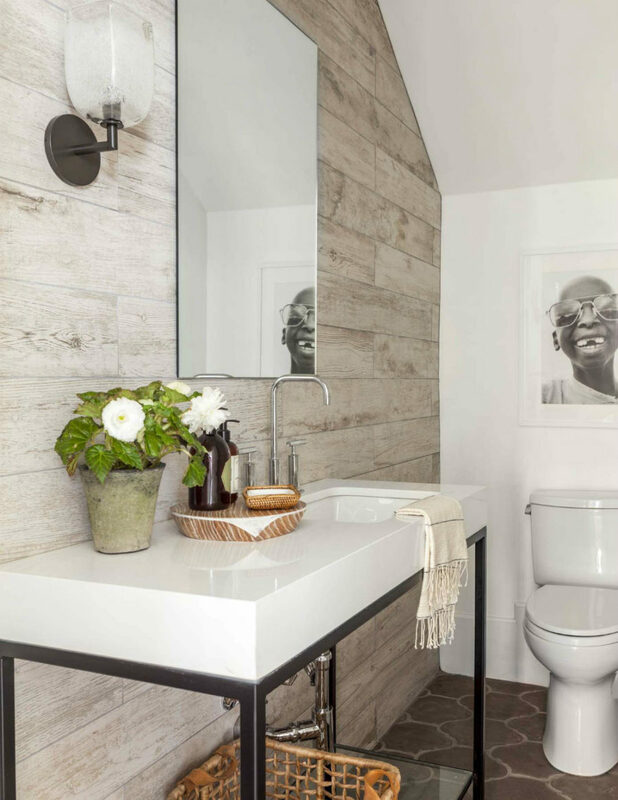 Neutral powder rooms can often look bland. Usually they either lack accents or lighting. 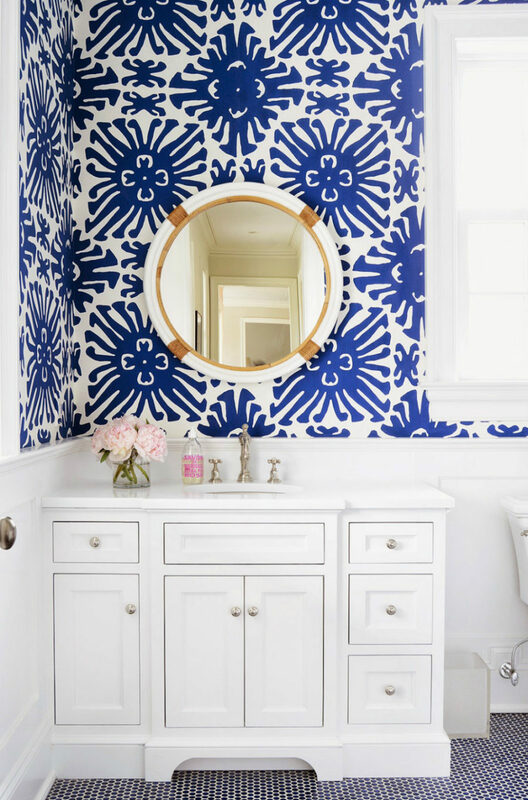 You can easily transform your neutral powder room with a bright elegant light source and a few bright-colored accessories like towels, hygiene products, or even wall art and flowers. 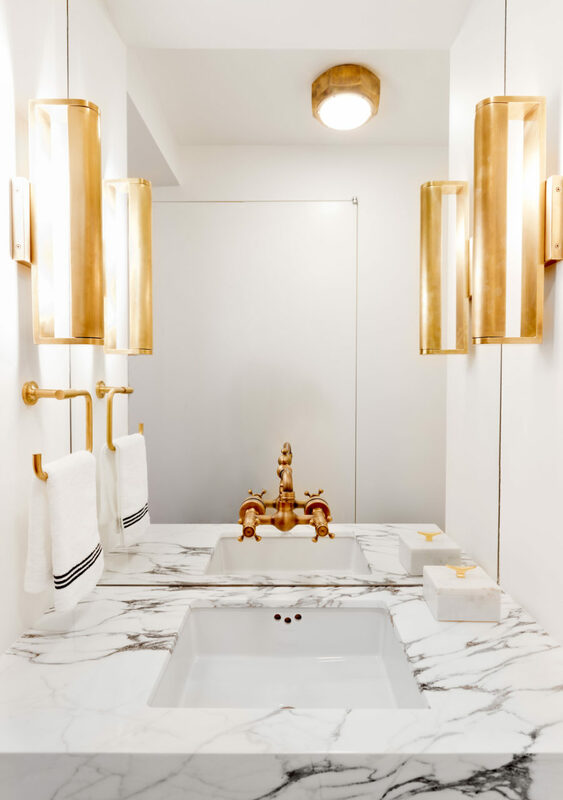 In all-white bathrooms wood and brass never fail to create a beautiful aesthetic. 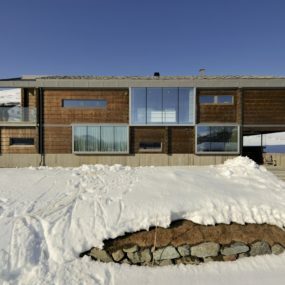 But while the former looks modern and natural, the latter appears ultra glamorous and luxe. 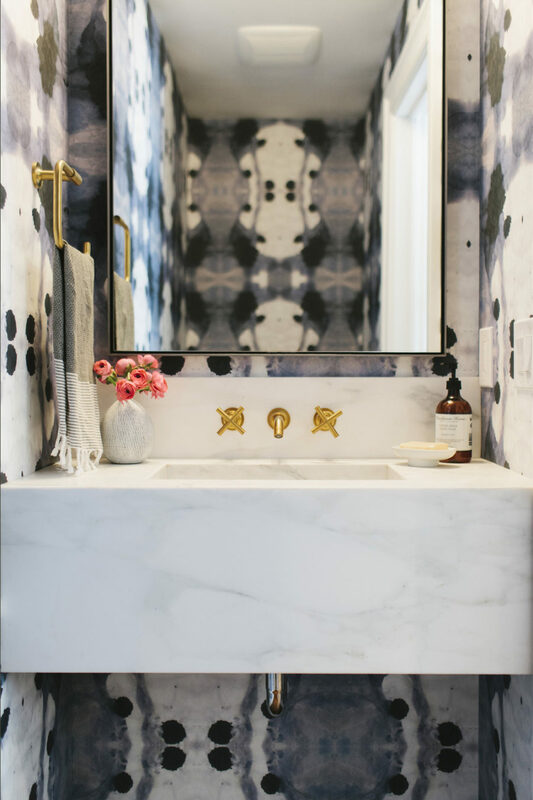 Even though they are neutral, marble and irregular tiles can, too, make for nice design elements. 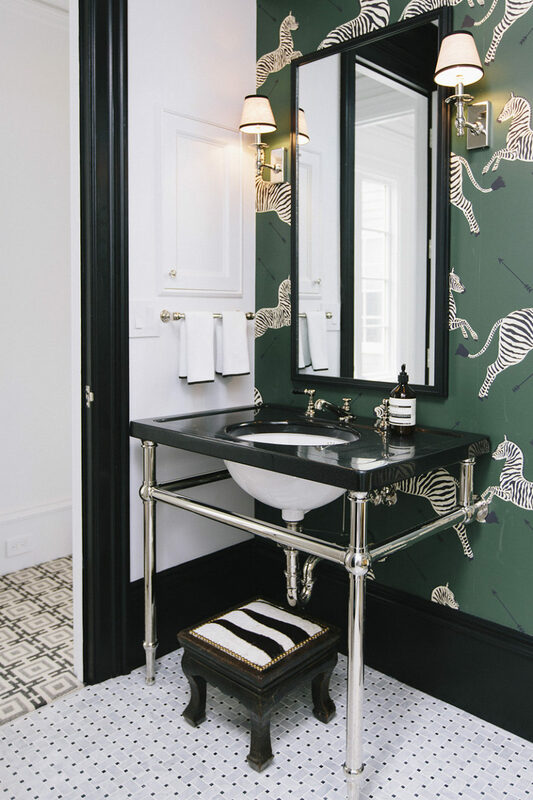 Animal patterns of all kinds have become a trendy wallpaper pattern for every room in the house from bedroom to home office to bath. 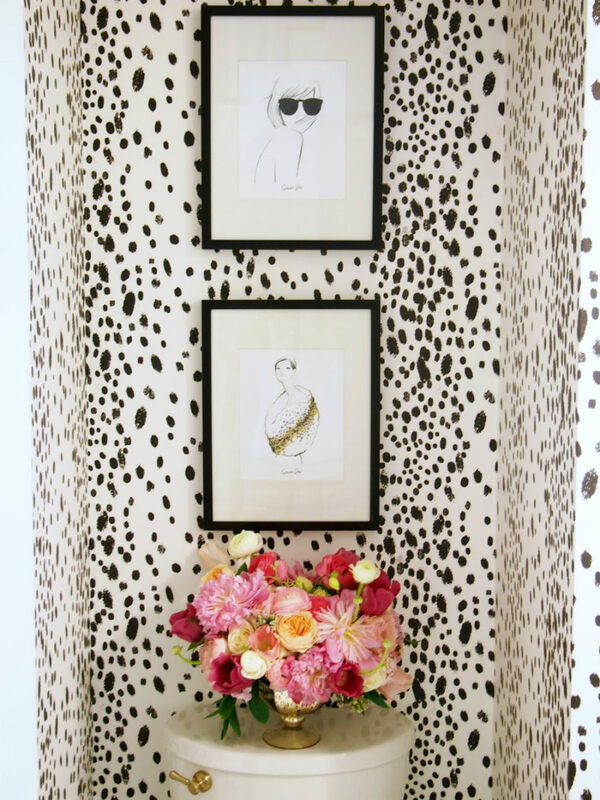 Dalmatian, cheetah, zebra, and even leopard spots instantly give the room a fashionable look. Usually available in black and white they leave a lot of ‘room’ for decor. 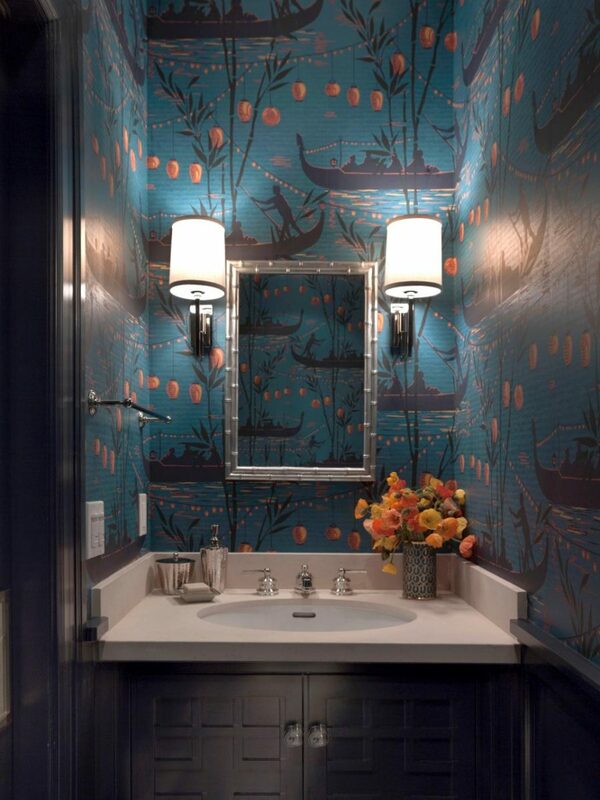 Any bright color or metallic shade will look great with this wallpaper. 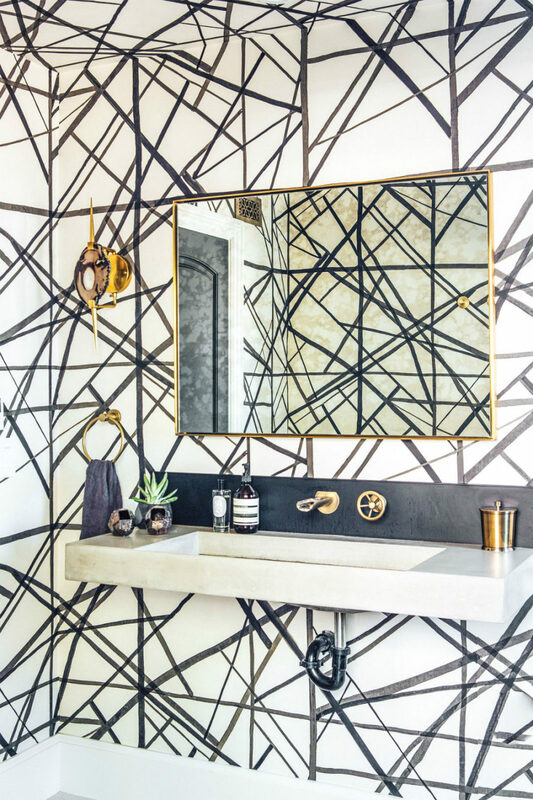 These patterns are also quite easy to mix and match with others, so don’t be afraid to try and experiment with this cool new trend. 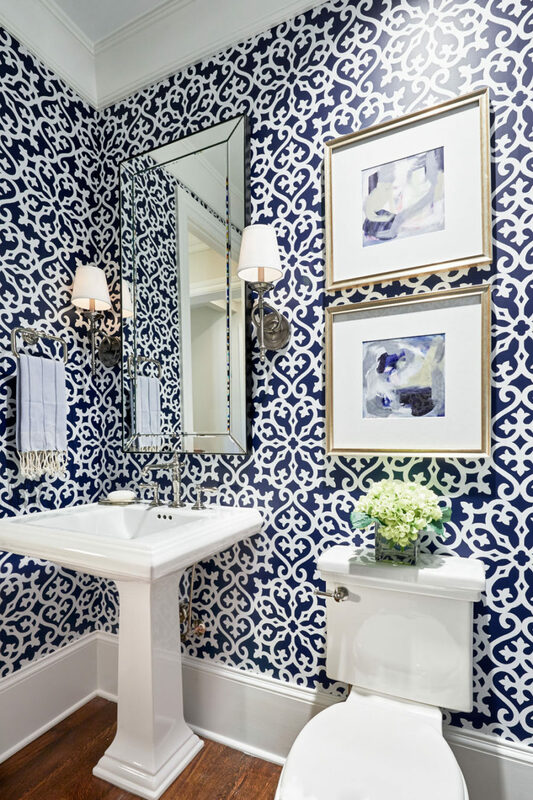 Since there is usually no need for storage, powder room walls are often left empty. 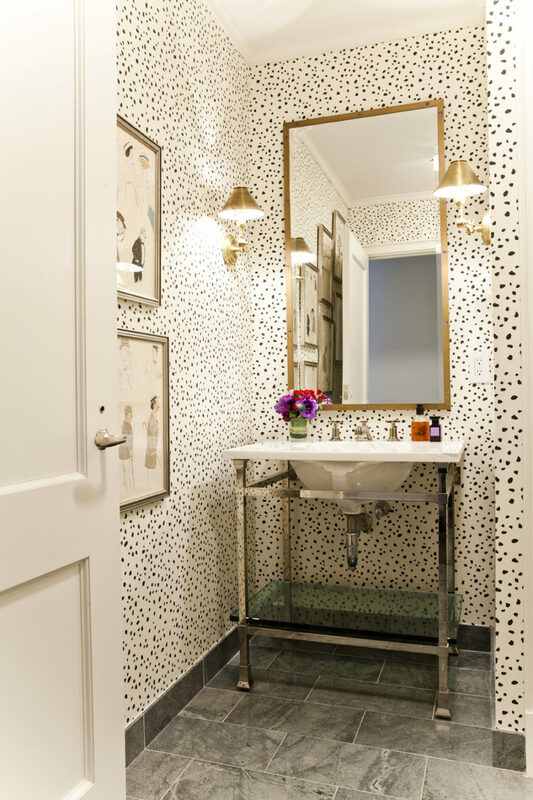 That is why patterned wallpaper works so well in powder rooms. Also you can really go to town with other types of wall decor in a guest bath. Think panelling, artworks, photography, decals, wall sconces, and anything you can come up with. 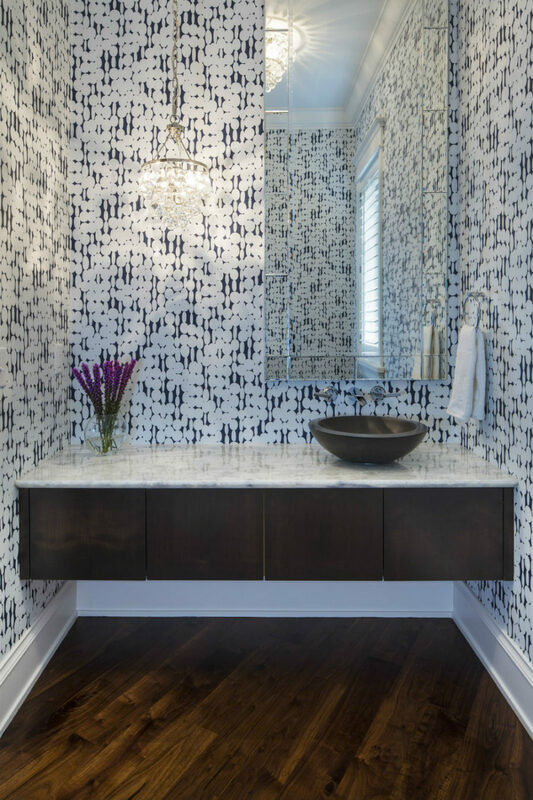 Some even hang shelves with display objects in their powder rooms. Don’t want to go that far with your decor? 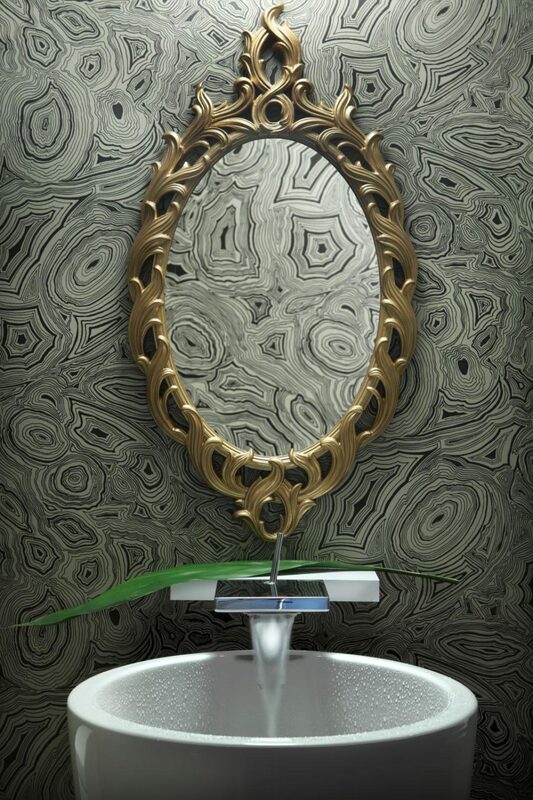 Just pick a (photo) graphic wallpaper design, and you won’t need anything else. 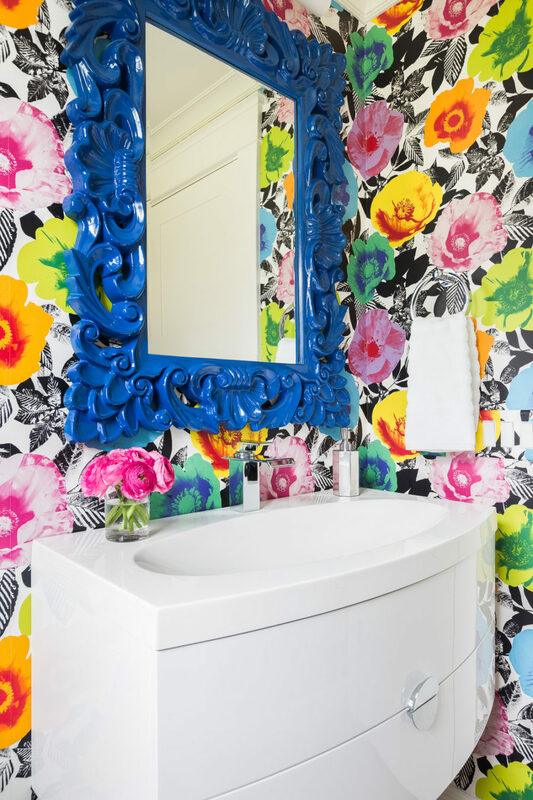 Continuing the theme of walls, there isn’t really a rule that says you can’t paint your entire bathroom in a bright color. You can. And if you don’t have a big budget for remodeling, you probably should. 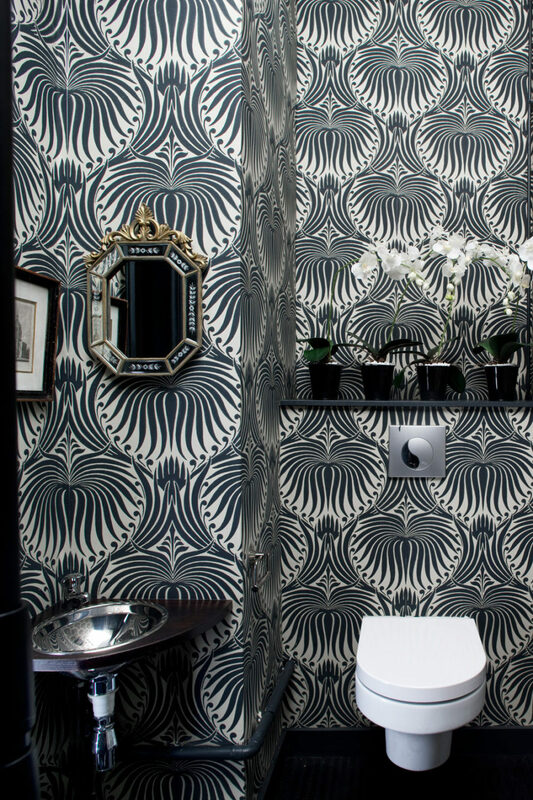 Powder rooms can be cool little bastions of design. 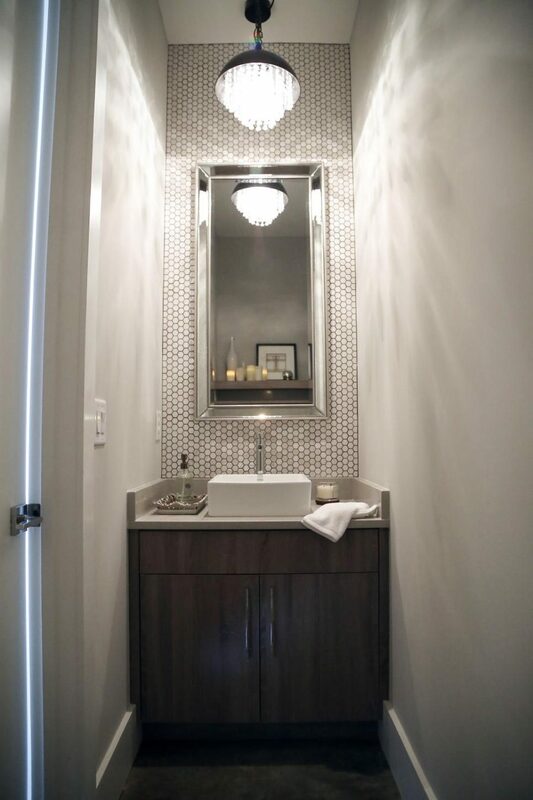 If you like a particular style that you wouldn’t want to have in your entire house, this is a great opportunity to enjoy it sparingly in this little room.